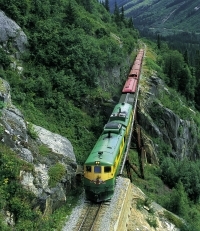 Situated on the SE corner of 8th Ave. & Main St.
Skagway has a wide variety of attractions, sites, shops and activities to keep you entertained for days. 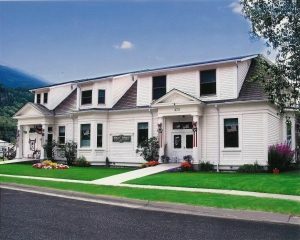 At the White House, you will enjoy a quiet residential neighborhood two short blocks from Skagway’s popular and bustling Historic District. One day isn’t enough time to see our fair city, so explore your options and plan to stay a while. While appreciating the history and decor you would expect from a 1902 home noted as a contributing structure on the National Historic Register, this B&B also provides for the comforts you have come to expect while traveling. Private baths, cable TV, and mini refrigerators. For your comfort each room has independent thermostats, screened windows you may open and ceiling fans, just in case we have a hot summer. 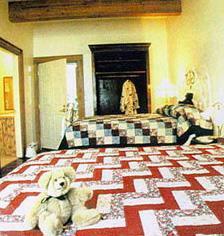 All the rooms are furnished with cozy handcrafted quilts. For those traveling with their laptops, complimentary wireless Internet access.